A cute golden coloured happy wednesday picture to share for free. Let this picture carry your loving wishes for your dear one. 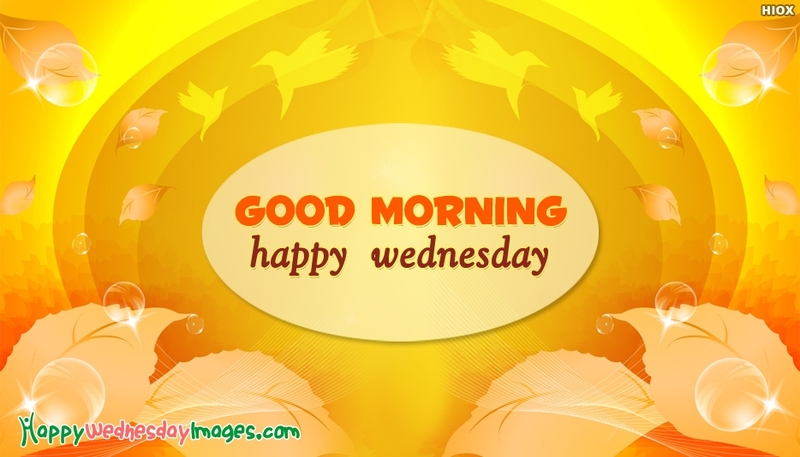 This picture shows the image of vibrant design and the message "Good Morning Happy Wednesday". You can share for free and convey your loving wishes via this picture via email, facebook, whatsapp, etc.